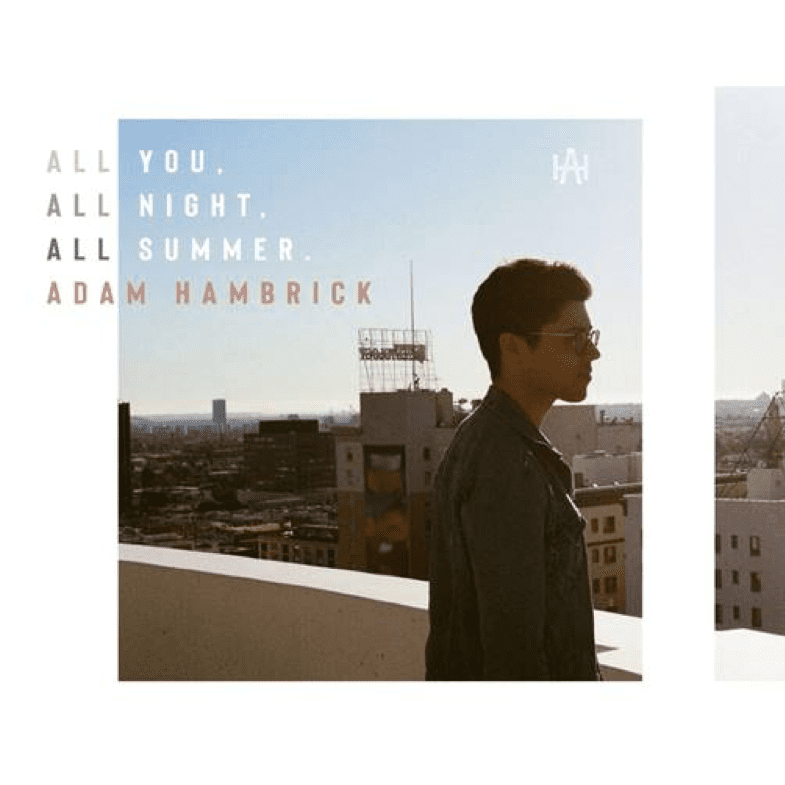 8 February 2019 (Toronto, ON) – Today, Adam Hambrick released his new song “All You, All Night, All Summer”, via Capitol Records Nashville/Universal Music Canada, the country’s leading music company. Penned by Adam, Pete Good and AJ Babcock, the upbeat song paints a picture of summer, carefree youth and life in a small town. “‘All You, All Night, All Summer’ is a good way to give listeners another taste of what the record will be like and is a great compliment to my radio single ‘Rockin’ All Night Long’. Also, it’s February and we thought everybody could use a little summer in their life” states Adam. Recently, Adam recorded a stripped-down studio performance of his debut single, “Rockin’ All Night Long,” which he released as part of his YouTube Music Sessions. Fans can watch the video HERE. “Rockin’ All Night Long,” takes a big-picture view of after-midnight activities, showing how the late-nights stories of a carefree kid turn into the early-morning expressions of comfort provided by a loving dad to his crying daughter. “Rockin’ All Night long” is currently climbing the charts at country radio and continues to accumulate impressive streaming numbers peaking at No. 16 on Spotify’s U.S. Viral 50 chart. 2019 is proving to be an exciting year for the singer/songwriter as Adam has been named an Artist to Watch by Amazon Music, Pandora, Sounds Like Nashville, PopCulture.com, Taste of Country, and Nashville Music Guide. Additionally, Adam just announced he will be performing at C2C Festival in London this March as well as Stagecoach Festival in late April, marking the first time Adam has played either event. The Arkansas native grew up listening to artists such as Alan Jackson, Garth Brooks, John Mayer and The Foo Fighters. From an early age, Adam’s musical roots were grounded in the church singing hymns with his family, where his dad was a Baptist pastor and his mom played piano. After graduating from the University of Central Arkansas, the singer-songwriter made an appearance on Good Morning Arkansas where fellow Arkansas-native and country star Justin Moore happened to be watching and was impressed by Adam’s unique voice and distinctive songs. Soon after, Justin’s producer Jeremy Stover reached out opening the door for Adam to move to Nashville and pursue music full-time. Adam has written a multitude of songs and had numerous cuts for other artists including Miranda Lambert and Eli Young Band, as well as, No. 1 hits for Dan + Shay (“How Not To”) and Justin Moore (“Somebody Else Will”). Adam has continued to hone his songwriting and vocal skills, while performing live with artists including Brett Young, Jordan Davis, LANCO, and more. Adam released his debut single “Rockin’ All Night Long” this past October and is currently in the studio working on his debut album with producers Andrew DeRoberts (James Blunt, Miley Cyrus) and Paul DiGiovanni (Blake Shelton, Jordan Davis). To learn more about Adam and his music, check out his official website HERE. Follow Adam on social media using the links below.